Sew what's cooking with Joan! 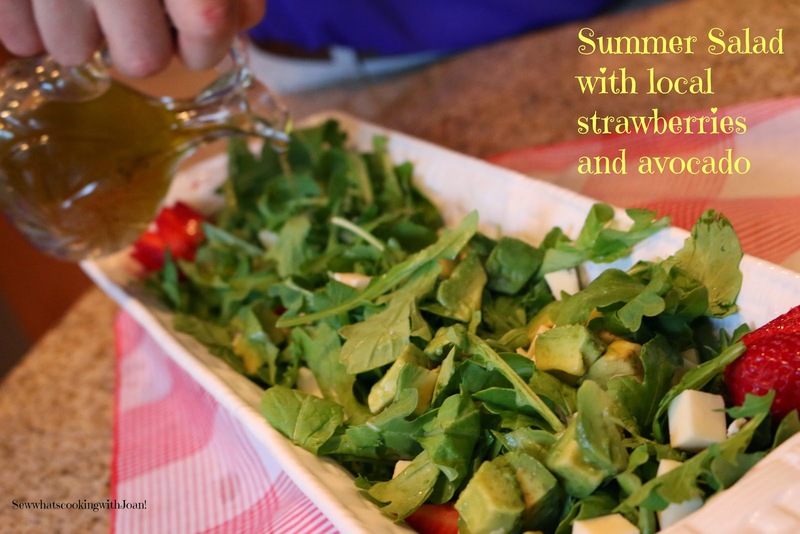 : Summer salad with strawberries and avocado! The weather here in Seattle is spectacular! Perfectly sunny 75-80 F degree days! Yippie! The kind of day, you want to get out in the yard for play or just plating a few extra flowers for a little pop! 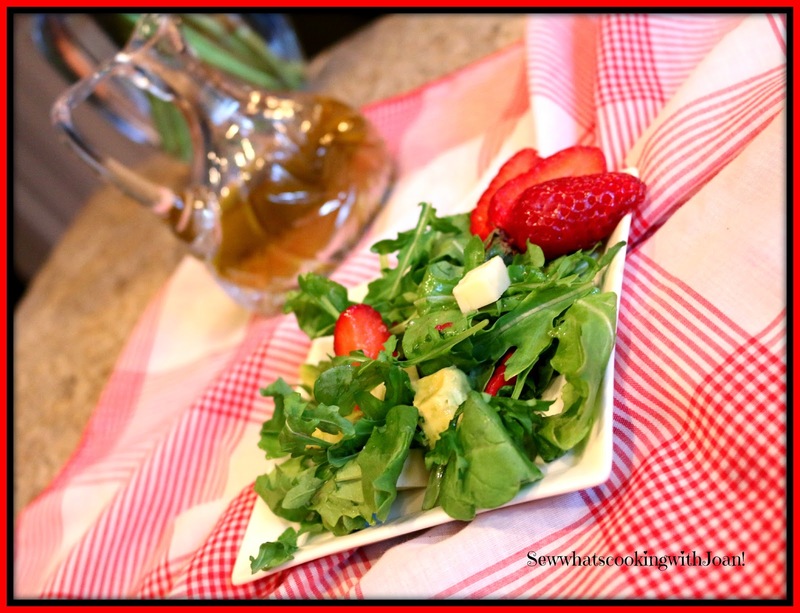 Wee Bear and I went to my daughter's house the other night for dinner, I made this delicious arugula salad....light and screaming Summer with the local sweet strawberries. 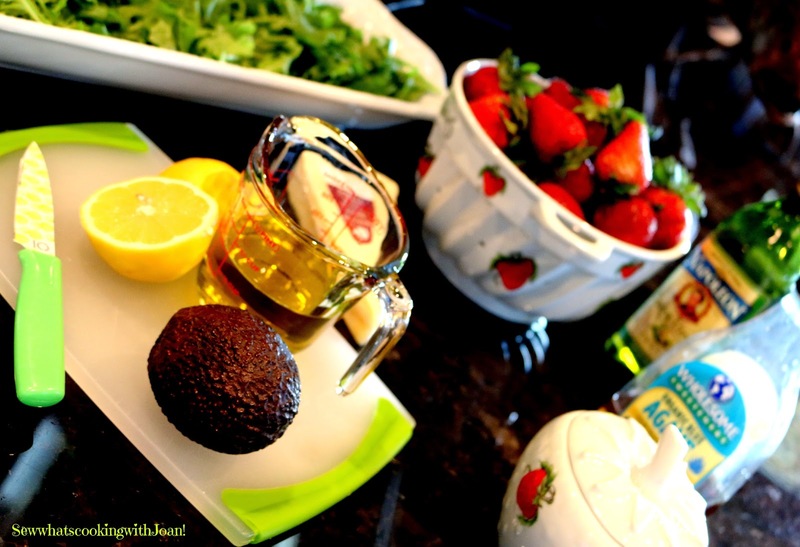 I made a very light lemon vinaigrette to top this healthy light salad. Whip olive oil, lemon juice and agave in a container. Season to taste with salt & pepper. This is my last blog before leaving to our lifelong dream trip to Dubai and Africa! To say we are bursting with excitement is a understatement! We have tried to plan, and actually booked this trip three times over the last 11 years. Each time there was either unrest in Africa or a family event that prompted the cancellation. We are doing this!! We are staying in hotels and game reserves that have internet, however, I'm told it is like dial up.....very slow. So, I am not sure if my guest blogs will get posted over the next 3 weeks or not. Please......not to worry, they will if it is possible, if not, they will be posted as soon as the wheels hit the tarmac in Seattle! 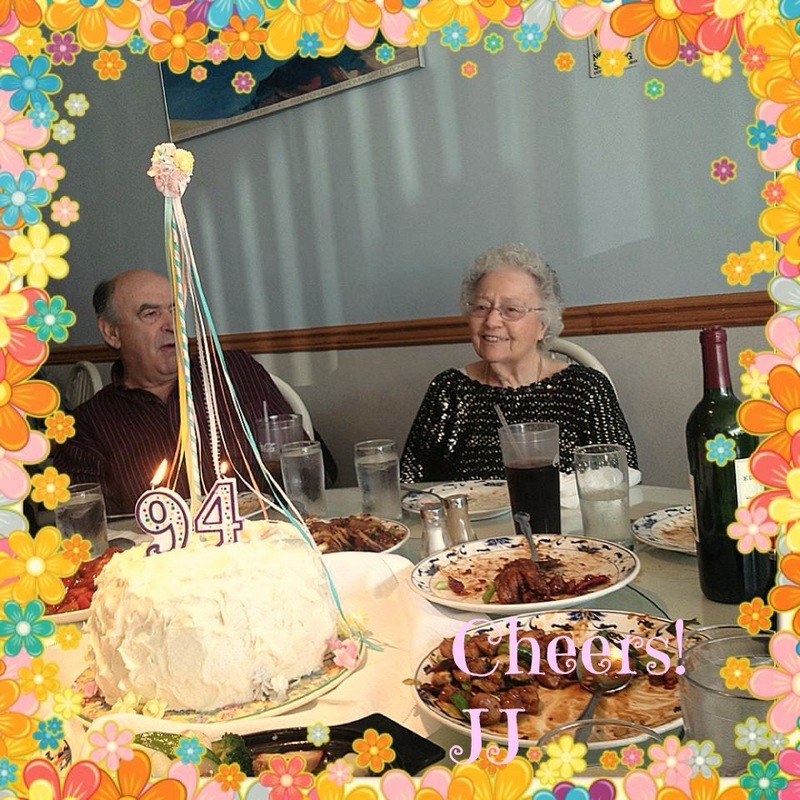 My Mom turned 94 this week! I made this delicious Maypole cake for her! Inside is 7 layers of cake with a rainbow of pastel colored frosting between the layers. She loved the cake and the over 30 family members that came from near and far to celebrate at her favorite Chinese restaurant. Happy 94th Birthday Mom!